If you carry a balance on your credit card, you may wonder how your payments affect your credit score. Does paying only the minimum credit card payment negatively impact it? Does paying more positively affect it? The answer usually depends on your particular situation, but the benefits of understanding the relationship between your payments and your credit score are huge. 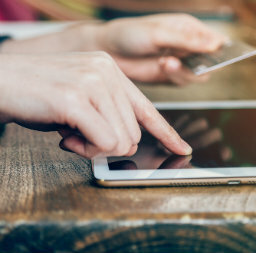 Even if you are confident that you understand how your credit card payments may impact your credit score, you may not be taking the right steps to maximize the benefits of your payments. Here is what may happen when you pay more than the minimum and how additional payments may impact your credit score. The most obvious result of paying more than the minimum is that you’re making faster progress at reducing your credit card balance. Any amount paid above the minimum may lower the amount you owe in principal and future interest. This creates a virtuous cycle where you pay less in interest because you are, overall, making fewer total payments, just as you would pay more in interest if your payments stretched over a longer period of time by paying only the minimum. Of course, this also depends on not making additional purchases with your card, which may add to the balance you are trying to pay down. Ultimately, this process may help you save money that you can then use for other purposes, such as creating an emergency fund or investing for retirement. You might not realize immediate benefits from paying more than your minimum, but over the long term, you may be able to see many improvements to your finances. Your credit utilization ratio refers to the amount of available credit you are using and the amounts owed. It typically accounts for 30 to 35 percent of your credit score. So if you have a $10,000 limit on your credit card but carry a balance of $9,000, your ratio is 90 percent, which is considered high. Paying down that balance and maintaining a lower utilization ratio may show lenders that you might be a more responsible borrower. If you only use about 30 percent of your credit each month, paying off the entire balance on time shows that you are capable of handling your accounts more responsibly. This may also give you opportunities for lower interest rates on new lines of credit, meaning less interest accrual in the future. If you pay only the minimum amount due each month, you may be paying more interest than principal, depending on your interest rate. This draws out the length of time over which you are paying back the overall balance, which may result in even more accruing interest. Instead of paying your card off in a few months, sending in just the minimum might draw out your payments for years. Your budget is likely to benefit from doing the math and staying informed about how making additional payments can save you extra interest as well as lower your credit utilization ratio.